This is a wonderful opportunity to join other classic car owners on a relaxed driving holiday to one of the most unique historic motoring events in Europe; The Circuit des Remparts. As well as a full day of racing around the tight walled streets of the town on the Sunday, there is a tourist rally through the surrounding countryside on the Saturday and a fun concours on Friday evening. In addition, this tour follows country lanes and scenic roads to & from Angouleme. Check in at Brittany Ferries terminal in Portsmouth at 21:45hrs for the 22:45hrs overnight crossing to Caen. A large window cabin has been reserved. On arrival in France pick up our attractive d-road route from Caen, to a breakfast stop in Putanges. We then tour down through the Orne, into La Sarthe and into the department of Pays de la Loire. A visit to a chateau is organised, one that fans of ‘Le Mans the movie’ will find fascinating. It is then a short distance to the overnight hotel in Loué where dinner is included. Make your way down via rural routes to the coast in Sables d’Olonne, with a night’s stay at the 4-star hotel Côte Ouest Thalasso & Spa with dinner included. After breakfast it is a relatively straight-forward drive to Angouleme. After checking in at our downtown Mercure hotel (with secure parking) for 3 nights, head in to the city on foot to explore. A walking tour is organised so that you can familiarise yourself with the town layout, you can then relax and soak up the atmosphere as the streets begin to fill with vintage and classic cars. This evening, enjoy the Concours d’Elegance that takes place in the Champ de Mars. 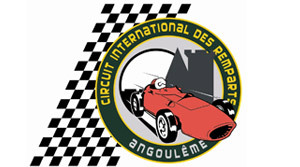 Entry for the International rally departs is included* & departs from Angouleme. More than 150 cars drive through the roads of the Charente region, with the run finishing at the Champ de Mars in the town centre. For the evening you have the option to buy tickets for the gala buffet, held in the covered market, or you can dine in one of the excellent nearby restaurants. *The rally is open to most cars pre-1985, but please confirm at the time of booking. Sunday is race day on the historic Circuit des Remparts. Starting from 08:00hrs and continuing to 18:00hrs. Race categories include Bugatti grand prix cars, Frazer Nash, MGs, Vintage sport and racing cars, GTs, GTSs and GTOs. Those who wish to spectate will have access to the track, grandstands and will be able to wander through the pits and paddock. Leave Angouleme and head north on minor roads. Overnight in a great hotel in Chenonceaux, well known for its good dining. Arrive in time to enjoy a visit to the Chateau de Chenonceau, which is a short walk from the hotel. Dinner at the hotel is included. Depart Chenonceaux and return to Caen ready to check in for the 16:30hrs Brittany Ferries crossing to Portsmouth. Arrive in Portsmouth at 21:15hrs. A deposit of £200.00 per person will be required at the time of booking. Any bookings made within 12 weeks of the event must be paid in full. Brittany Ferries crossings from Portsmouth to Caen including 4-berth window cabin Upgraded cabins are available on request. Longer stays are available at a small supplement. Vehicle recovery and personal insurance.